It’s pretty amazing what the single press of a button can do for people nowadays. Controlling music, brewing coffees, opening garage doors — the applications for connected technology are effectively endless. However, there’s been no button to press to deal with the inconvenience of flat tires. 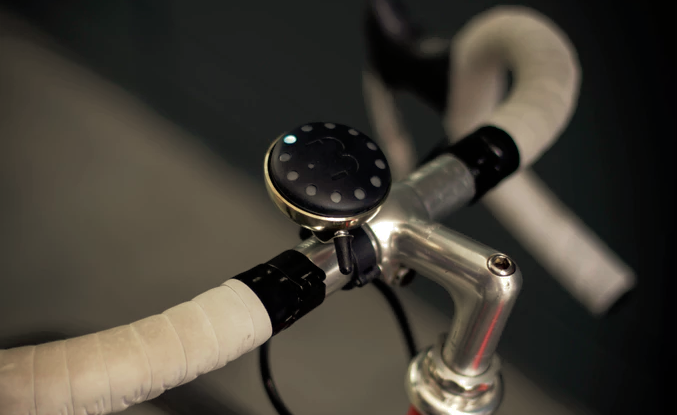 RideAir extends that one button utility to flat tires, using an 22 oz. aluminum canister holding 300 psi of compressed air to rapidly inflate both Presta and Shrader tires, or anything else for that matter with a suitable needle adapter. This gets about 1.5 full tires for a standard 700mm x 25mm road bike tire, and more or less based on size and use. RideAir is the size of a water bottle, weighs around one pound, and features a built-in PSI gauge and four foot air cable. In addition, it can be placed within a water bottle cage and kept safe its built in lock to make sure it stays put. There RideAir is priced at $60 and it slated for a delivery in January 2016. The campaign is hoping for $37,000 by June 27, 2016. RideAir is a smart idea for an old problem, and one that is frankly overdue. It’s lightweight and extreme focus on the user experience is a huge plus that really sets it apart. Its one flaw is its reliance on having to use compressed air to refill it, meaning that riders without air won’t be able to manually pump their flat tires back to life. As such, keeping RideAir topped up is extremely important to avoid these unfortunate situations while using it.